Riggan Thomson, once known quite well as an iconic superhero, "The Birdman" is now washed up. He is now battling his ego and attempts to recover his family, his career and himself in the days leading up to the opening of a Broadway play. Riggan has a difficult time juggling between the set, his replacement actor, his daughter, and other obstacles that prevent a proper staging of the play. How will his ego affect his current life? Will Riggan be able to shine again in his career? 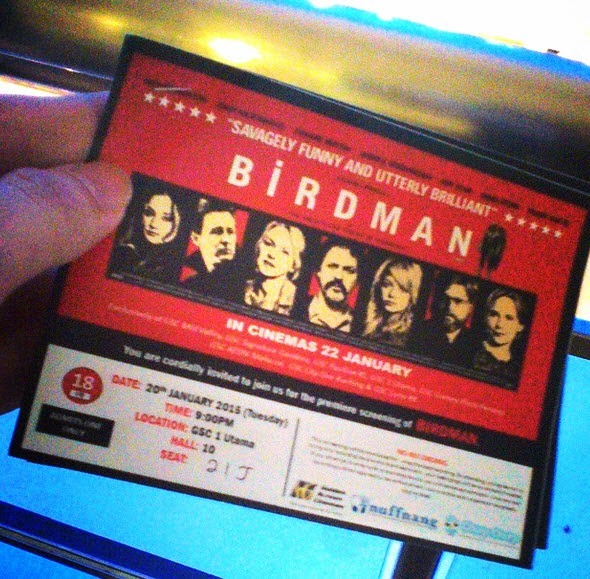 Let’s fly like a bird into the cinema near you and watch it! 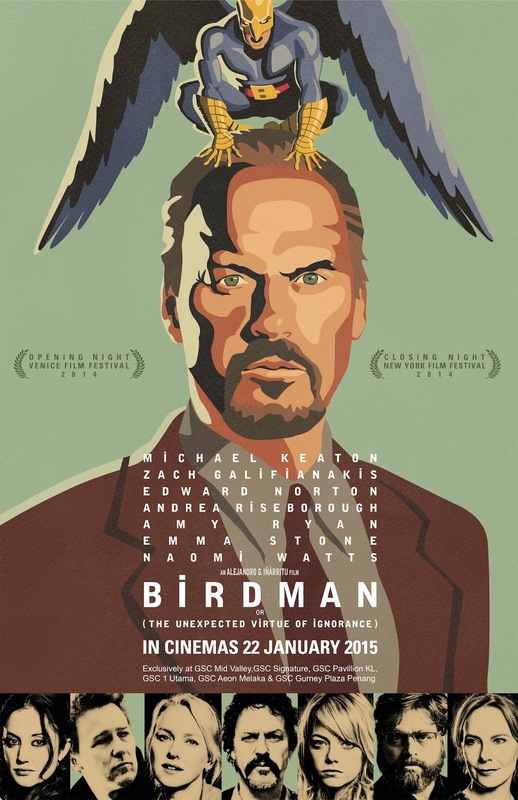 “Birdman” is a brilliant movie that totally shows us the kind of struggles someone would face if he/she is used to be someone great in something but ended up being a nobody as time passes. It reflects the life of a washed up celebrity in Hollywood, the life of a person who can’t get over the self-obsession and someone who is trying hard to get loved again. 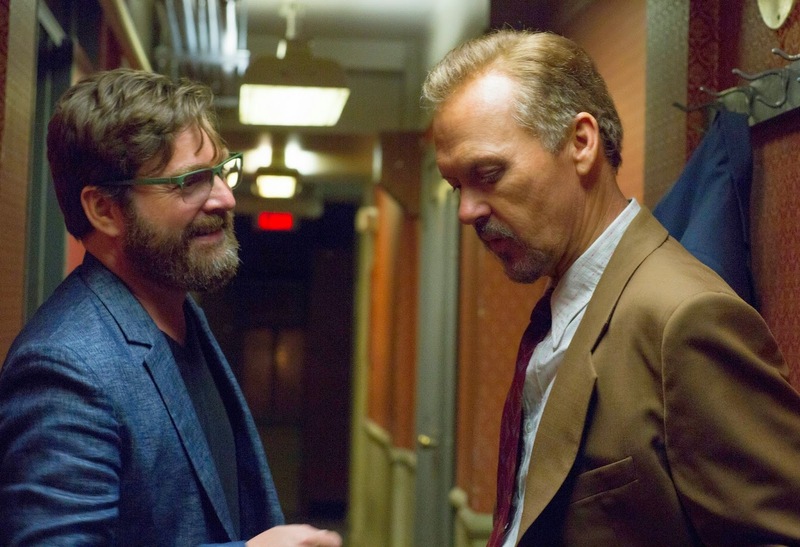 Director Alejandro González Iñárritu has delivered an unforgettable experience through this spectacular movie! Unique Cinematography! Convincing “One Shot” Experience! First of all, it has brought us a great unique cinematography and direction whereby it convinces us that the whole movie was taken in one shot. Except for the near-ending part of the movie, the whole film has no cuts or breaks in between scenes and it is something really new and refreshing for the viewing pleasures of the audiences. This a very daring attempt and I think it totally nails it! This seamless flow could draw the audiences closer to the characters in it. In fact, it felt as though we are just right next to these characters as they were conversing and interacting. The plot and the storytelling of the movie is really great. Apart from showing the obstacles Riggan faces in putting up the best show for his Broadway play, it has brilliantly shown to us his inner struggles in between reality and imagination. 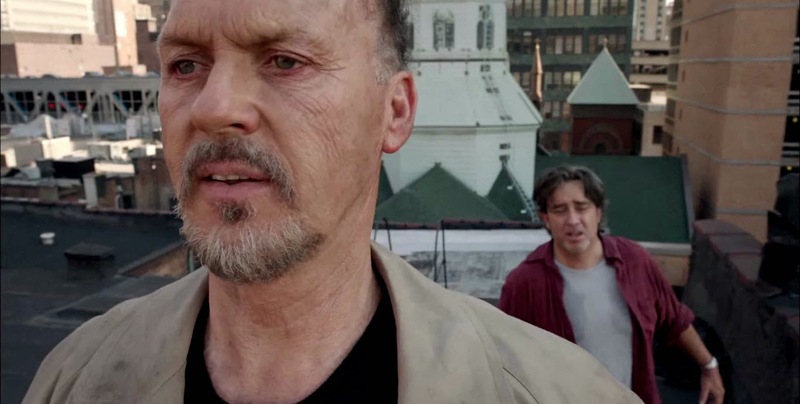 The grandiose delusion and auditory hallucinations were well depicted in the film as Riggan struggling with his alter-ego Birdman. Of course, the other characters’ struggles were told too via this film. Although there were less emphasis on theirs side, each and every of their stories felt so “human” and relatable too. While being a movie that has quite a number of dramatic sequences, the movie has a lot of laughable moments which were presented in a lively form. Their dialogues and references to reality have made those comedic moments seem so realistically believable. For example, Riggans have suggested a few real celebrities name for his stage play in the movie and he has also mentioned some names which are famous for their roles as superhero, like Robert Downey Jr. Marvelous performances by the casts! 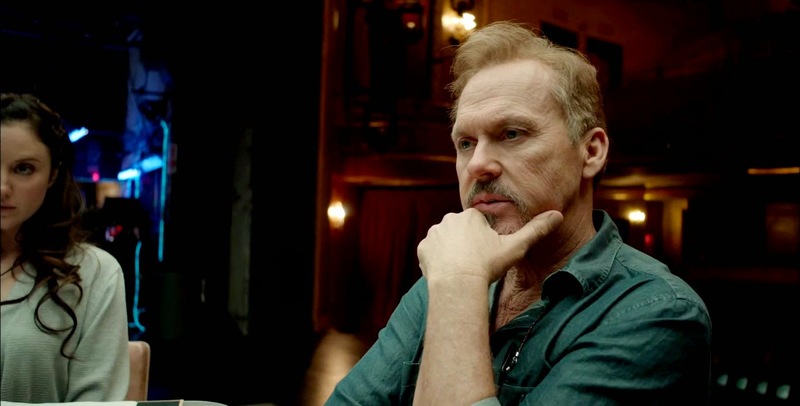 Performance-wise, Michael Keaton is really superb. He is very precise in handling his character and it is very remarkable. Due to his great execution of expressions and moves of his character, you will feel very close to his character and would really care for him. 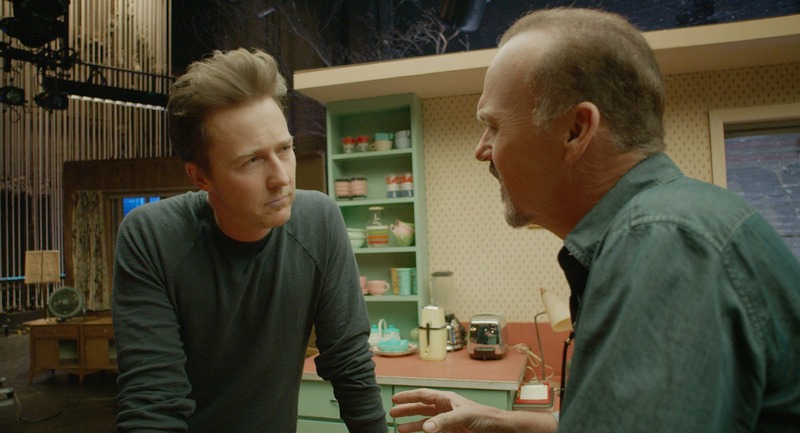 Of course, the others in the movie has also delivered praiseworthy performances too especially Edward Norton, who plays a totally A-hole stage actor and Emma Stone, who plays Riggan’s daughter who is equally washed out. These characters’ developments are great and adequate amount of time are allocated for each character although the main focus is still on Riggan. Rhythm that moves the audiences along! Basically, I really like everything in the movie. Although there were some moments which dragged the movie a little (the truth or dare? and etc), but all of these moments were necessary to make all of the things happening inside the movie more sensible. Last but not least, the director has left the ending for the audiences to ponder upon. Some might feel that it is like a cliff-hanger but I felt that it was an amazing and wise decision to end the film this way. It can leave you with many options to imagine of what really happens in the end and this uncertainty has a deeper impact on the audiences than if it is well wrapped-up like any other films. A fresh and unique experience. Awesome acting by the casts. Highly recommended to those who loves new experience in movie and great acting! If you are someone who can’t accept realistic drama and don’t buy the idea of “one shot” film, you might not like it. Otherwise, I can’t think of a reason why someone would dislike the movie.